The labrum is a type of cartilage found in the ball and socket joint of the shoulder where it meets the arm bone. The labrum is the cartilage that surrounds the socket making the socket deeper and adding stability to the ball (the head of the humerus) sitting on the socket (the glenoid). These two bones are connected by strong ligaments, which hold the bones in place. How does it affect my game? 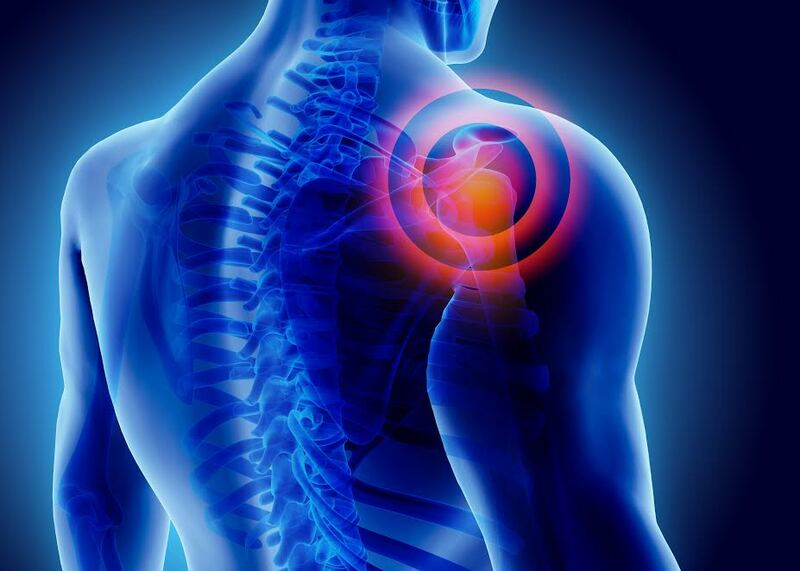 When any area of the shoulder is damaged it may cause pain, which causes an alteration of the five phases. When the motions are altered, due to pain or loss of mobility, the body tends to compensate by placing the extra load on the other ligaments and tendons in the shoulder. This is known as the “catch up” phenomenon, and is very common in tennis players with a decreased range of motion in the shoulder. Over time, this pattern of dysfunction can cause injury not only to the shoulder cartilage but also to the surrounding ligaments, tendons and even the lower back. Labral tears can have two separate mechanisms of injury. The first, and less common in tennis players, is a traumatic injury in which the cartilage is severely damaged due to one exaggerated motion (a hard swing) or as a result of a fall onto the outstretched arm. The more common mechanism of injury is small tears (known as microtraumas) to the cartilage that begin to multiply over time and compromise the strength of the cartilage. Several clinical studies have shown that athletes who do repetitive overhand motions are more susceptible to these injuries with one of the most common areas of injury being superior labrum of the shoulder (SLAP Tear). In tennis players, this repetitive injury occurs with the forceful overhead motion of the tennis serve. However, these microtraumas are not always the result of just the direct force on the cartilage. As mentioned above, decreased range of motion places excess stress on the tendons, ligaments and cartilage. One study suggested that even a 10 percent decrease in range of motion in the shoulder joint increases the risk of injury for tennis players. It may seem simple, but warm ups and stretches are one of the most effective ways to avoid injuries to the labrum. Treatment is often based on the location and severity of the injury, but is important to consult an orthopedic specialist at the first sign of injury, so that further injury can be prevented. If the damage is not severe, a combination of rest and physical therapy is often used. A physical therapist will create a regimen that not only strengthens the cartilage, but also work with the athlete on correcting defects in the kinetic chain so that future injury can be avoided. Specific stretches focusing on improving motion defects can decrease pain and risk for further injury. In instances where the damage is severe, an arthroscopic procedure may be recommended to repair the cartilage, as well as trim damaged cartilage. Fortunately, studies have shown that 87 percent of patients who underwent labrum repair surgery were able to return to their pre-injury level of play.